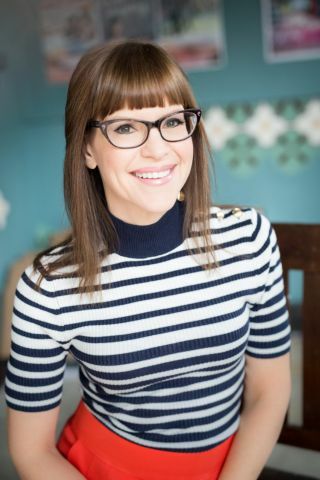 Women in Consumer Technology will host Lisa Loeb during the group's 10th annual CEDIA Luncheon event. Held Sept. 7 in Ballroom 6A of the San Diego Convention Center, attendees will be treated to music and conversation with the musician, entrepreneur, and philanthropist. Doors open for networking at 11:30 a.m. and the presentation concludes at 1:00 p.m.
"As women in this industry, it's incredibly important that we take the time to gather, exchange dialogue, and be real-world examples of leadership," said Carol Campbell, founder of Women in CT. "CEDIA is a great backdrop to do exactly that, and this year's luncheon is an incredible opportunity to hear from Lisa and how she's leaving her mark." Loeb is best recognized from the platinum-selling number one hit song "Stay (I Missed You)" from the 1994 film "Reality Bites." Since then, she has enjoyed a successful career in music, film, television, voice-over work, and children's recordings. In addition to raising two children in Los Angeles, she stays busy working on her growing eyewear line, her music for adults as well as books and CDs for kids and families. More information and registration for the WiCT luncheon is available at www.womeninconsumertechnology.org.